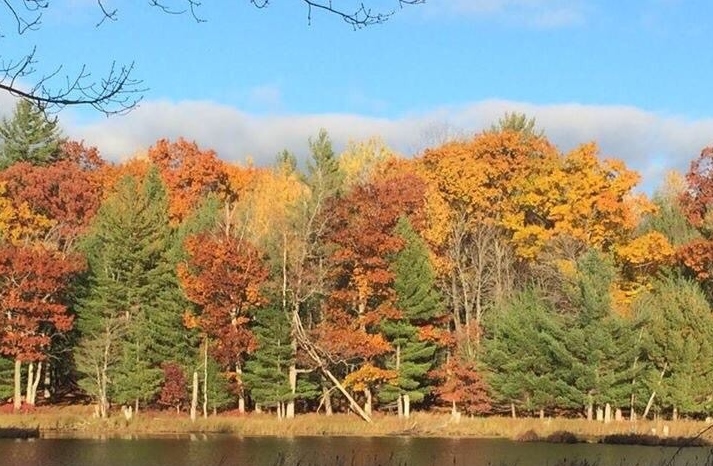 Fall is a beautiful time of the year and quite possibly my favorite season. There are so many things to like about fall, the crisp air, changing leaves and beautiful orange pumpkins. Pumpkins just seem to go hand in hand with the fall holidays of Halloween and Thanksgiving, what with pumpkin pies and jack-o’-lanterns. There are so many delicious recipes using pumpkin from pies, soup, bread, cookies to Pumpkin Spice Lattes from our favorite coffee shops. 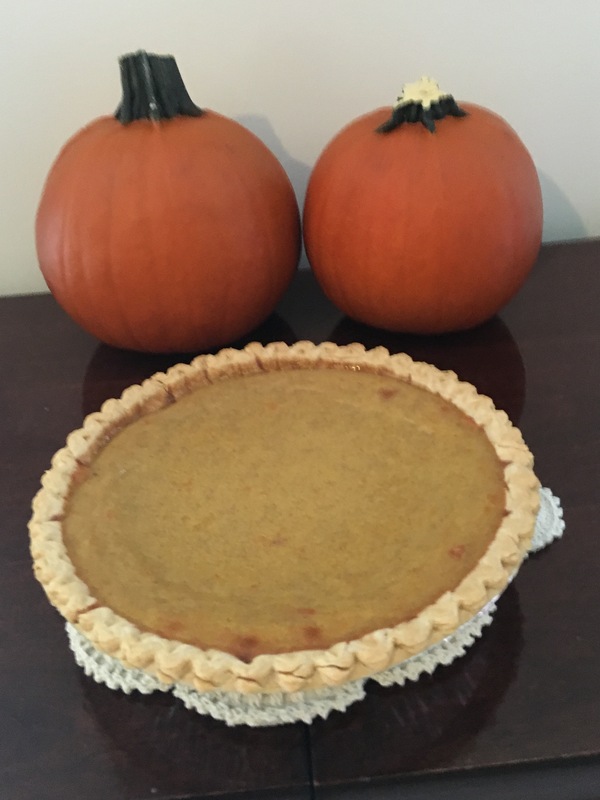 As soon as the small pie pumpkins are on the market in October, I make several pies using the fresh pumpkin puree. Since Thanksgiving and Christmas are such busy times, I use the Libby’s canned pumpkin for making pies. 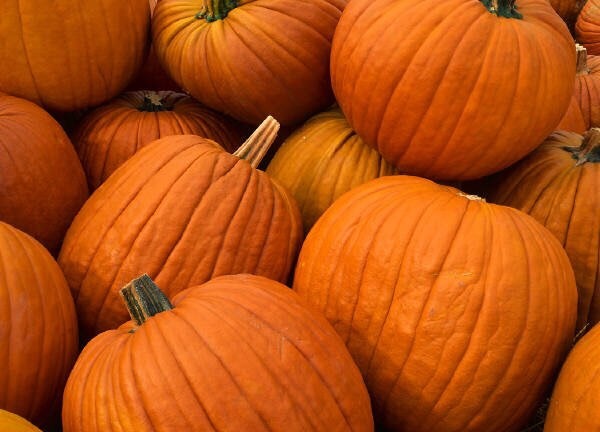 Picking your own pumpkin from a local pumpkin patch can be fun and here in West Michigan there are several to choose from. One of our favorite pumpkin patches and orchards to visit is Ed Dunneback & Girls Farm Market at 3025 6 Mile Road NW, Grand Rapids, MI. 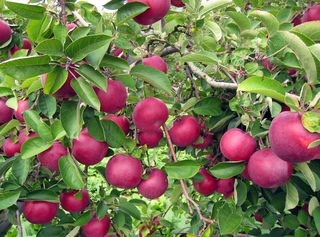 It is located a few miles from town down country roads where you will see apple orchards on your drive there. 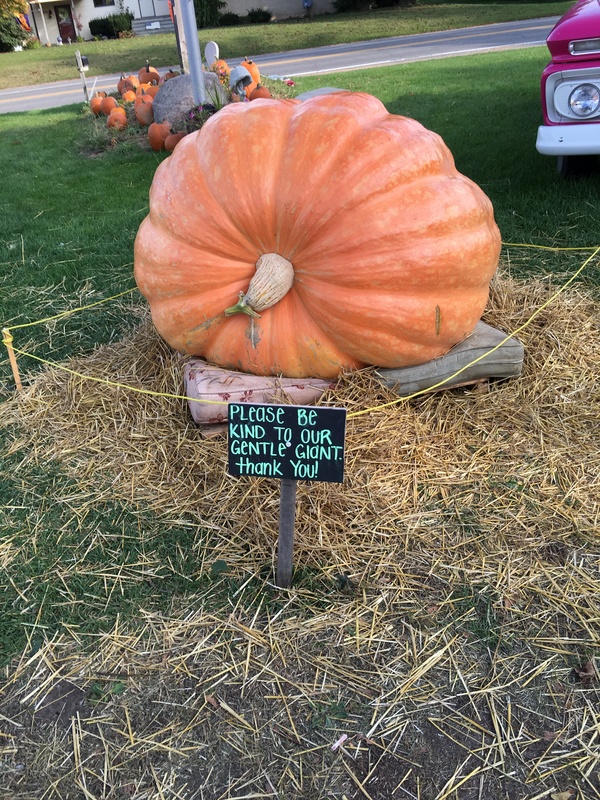 I recently visited there and saw their huge Gentle Giant of a pumpkin. I didn’t realize this but Morton, Illinois is known as “Pumpkin Capital of the World”. Libby has a plant there and a large percentage of canned pumpkin is produced there. I have to admit that the easiest pumpkin to use for baking or cooking is the canned pumpkin. But I do think that a pumpkin pie made from fresh pumpkin tastes better and is worth the effort. The most difficult step in preparing the pumpkin is cutting the pumpkin because pumpkins are not easy to cut. You’ll want to use a serrated knife and use a sawing motion to cut the pumpkin in half. There are several ways to prepare the pumpkin puree from fresh pumpkins but this is the way I do it. Just be very careful when cutting the pumpkin. Wash the exterior of the pumpkin and dry it. Carefully cut around the pumpkin stem with a serrated knife. Remove the top of the pumpkin and scoop out the stringy insides and seeds. Cut the remaining pumpkin shell in half and then into 1/2 inch slices. Use a vegetable peeler or sharp pairing knife to peel the pumpkin. Chop the peeled pumpkin into smaller chunks. Place in a Dutch oven and cover with water. Bring to a boil and reduce heat to low, cover, and simmer for 30 minutes or until tender when pierced with a knife. Drain and cool. For more information on how to prepare fresh pumpkin, see this article from Good Housekeeping which details three methods (bake, boil, and steam) for preparing pumpkin puree and can be found here. In large mixing bowl, blend together the pumpkin puree, sugar, pumpkin pie spice, and salt. Mix in the eggs. Gradually mix in the half and half. Pour into prepared pie crust. Bake at 425 for 15 minutes. Turn oven down to 350. Bake at 350 for 45 minutes or until a knife inserted 1 inch from edge of pie comes out clean. Cool on a wire rack. Serve immediately or refrigerate. Top with whipped cream before serving if desired. 1. Sugar Pumpkins are one of the most common baking pumpkins and are often labeled “pie pumpkins”, which is the type used in this recipe. 2. The pie pumpkin used in this recipe weighed 3 pounds and yielded 6 cups of pumpkin puree. 3. A 15 ounce can of Libby’s 100% Pure Pumpkin can be substituted for the fresh pumpkin puree and is what I use for Thanksgiving and Christmas pies.